This is the Skylon spaceplane. It’s a revolutionary new concept that can take off like a plane before rocketing off into space. The European Space Agency just passed a technical review on the United Kingdom venture by Reaction Engines, which brings the flying rocket a step closer to reality with funding. 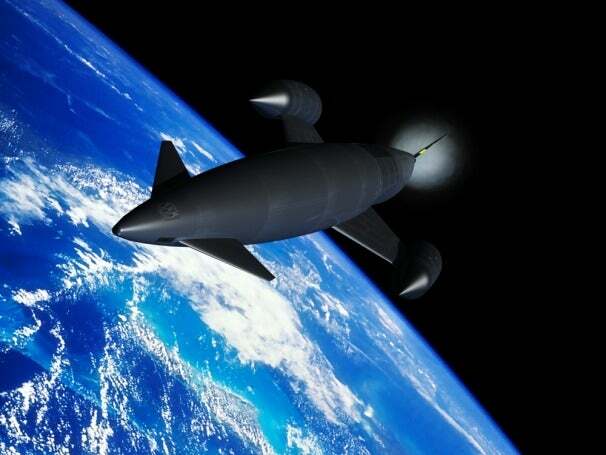 What makes the Skylon so promising is its Sabre engines, which can "breathe" oxygen in the early phases of flight before switching to a "full rocket-mode" to leave the atmosphere. The entire spacecraft can take off and land on a landing strip by itself, unlike the Virgin Galactic SpaceShip. After that, it is entirely usable again. The secret sauce of the Skylon’s Sabre engine is its ability to pull oxygen from the air rather than carrying an onboard supply of it and hydrogen to fly at lower altitudes. When the Skylon reaches high altitudes it cruises at about Mach 5.2, which creates a lot of air friction, causing the air around it to reach 1,000-degree Celsius temperatures. As a solution, the boffins at Reaction Engines outfitted the Sabre engines with 4 massive sequential precoolers to bring the gases down to -130 degrees Celsius in just 1/100th of a second. The Skylon could prove to be most versatile and reusable space freighter, thanks to its 12-ton cargo capacity. Putting it together, the Skylon is a much more sensible way for space travel with its "single-stage-to-orbit" approach. It's substantially less costly to make compared to alternatives, and unlike other rocket- and shuttle-based spacecraft, it does not require massive primary and secondary rockets that also need to be collected from the ocean or to remain in space as debris.